Hadley Sosnoff - For the Industry. By the Industry. Through over ten years of experience working on Capitol Hill and in the private sector, Hadley Sosnoff has extensive working knowledge and unique understanding of the federal political landscape. Hadley provides strategic counsel to Emergent’s clients on policymaking efforts in Congress and at federal agencies. During his tenure working on behalf of various clients, Hadley has represented a number of industries, securing significant legislative and regulatory achievements despite challenging political headwinds. 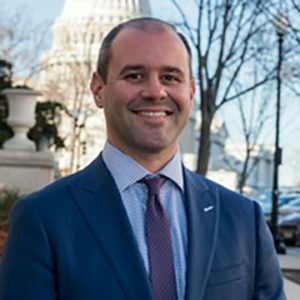 In addition to several positions working in government relations in the private sector for trade associations and lobbying firms, Hadley spent several years working on Capitol Hill, most recently as Legislative Director for a centrist Congressional office. Hadley also served on the legislative staff for the Appropriations Committee’s top Democrat in various capacities.